I’d be made up! 15 years since my last baby! Hope was lost! Been feeling dizzy and a bit sick today with more low abdominal cramps, kind of relieved for some symptoms tbh! Yeah I think I’ll be hot footing it to the shops to buy more tomorrow! I’m cramping a lot like Im about to have a period.. it’s constant and dull.. really low down! I have everything crossed ... everything!! I didnt have any symptoms way back back when I had my daughter, ddnt realise until I was over 30 weeks!!!!! This is alien to me! I do do hope that faint line is the beginning of the nect adventure!! When I was in the shop I bought one and thought ‘ohh sod it I’ll test again‘ 2nd wee... got this! I’m so nervous!!! Hayfc - Maybe it is worth having a conversation with your partner, depending on your relationship and how things ended. I am sorry to hear! I wish you the best and to stay strong and positive! 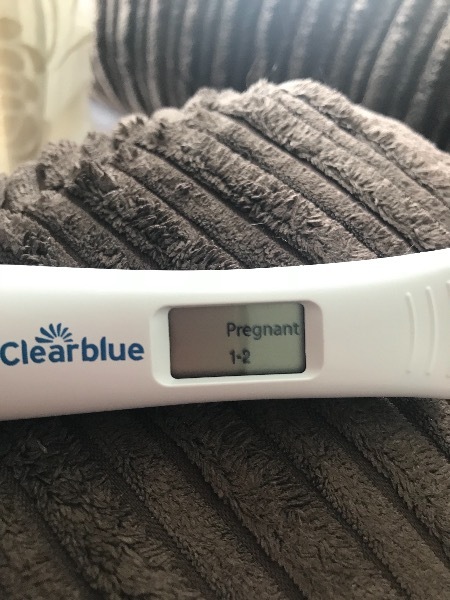 What a special gift to fall pregnant after 15 years of trying! 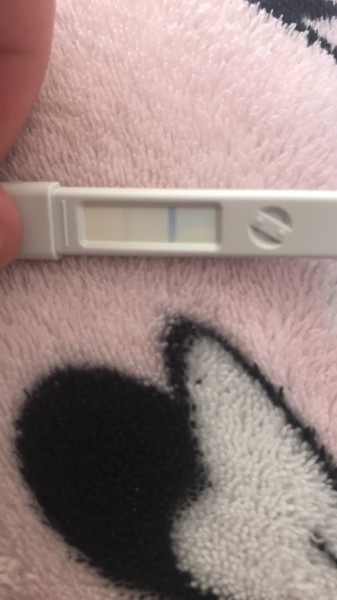 Ahh congrats Hayfc, I got the same result this afternoon too at 14dpo, looks like we will be bump buddies!! Sorry to hear about your partner, but so pleased for you, after so long!! Hey ladies, just wanted to update you all and say that unfortunately I had a miscarriage on Monday. Absolutely gutted but hoping to move onwards and start trying again. Hope you are all ok? Oh so sorry to hear that. Such sad news. I was actually just thinking how you were getting along. I know how you feel it’s just so disappointing and upsetting. I’m hoping to ovulate next wednesday (although still bleeding from The chemical a week ago) and going to give it another go, hopefully third time lucky for me. I heard you should always test every 48 hours Never the next day after you have already done a teSt. I have heard that miscarriage bleeding lasts longer or presents like a normal period, but this has only been 3 days, my last period was about 6 days long... My GP didn't tell me what to do if I was having a miscarriage.. should I ring back to discuss with them again? Thanks for that, you've helped me to put my mind at ease! When I was on the pill my periods only lasted for 3 days so I wouldn't have been bothered if I hadn't known I was pregnant. Just wish our bodies wouldn't make us feel worse and remind us of what's happened by keeping HCG hormones for a little while afterwards!